The Grand Petite- we think you will agree! In the heart of Rosemary Beach! 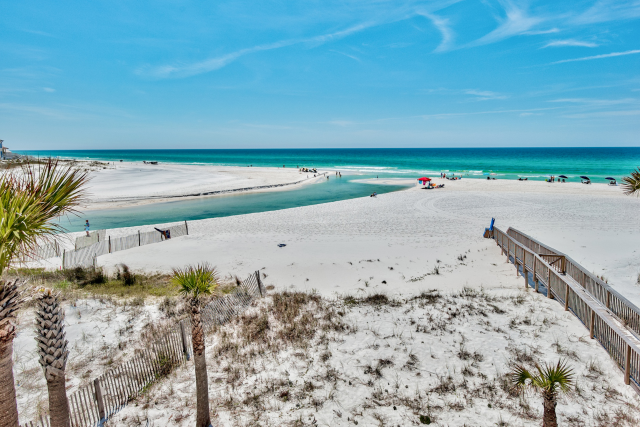 OPEN Apr 30 to May 3 $1068! 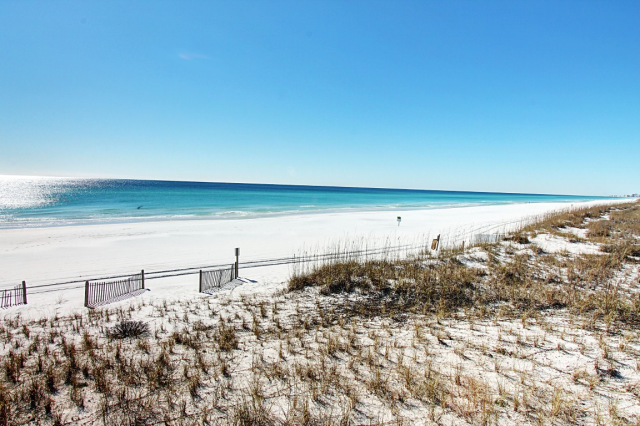 The Grande Petite is a spacious 839sqft, 1BR/1BA condo located on Rare South Main St in Rosemary Beach, just off Hwy 30A. Perfectly situated only 100 yards from beach access & directly above Edwards on exciting Main Street, filled with amazing restaurants, shops, and activities. A quick elevator ride whisks you into the open concept living area featuring gorgeous hardwood flooring, plenty of seating & granite counters in the kitchen filled with professional grade appliances. With one King Bedroom, and a clever twin Murphy Bed in the living room, this lovely sleeps 3 guests comfortably. Set aside some time to take in the incredible views of the gulf waters from the private balcony or relax by the Barbados pool (heated) right around the corner. 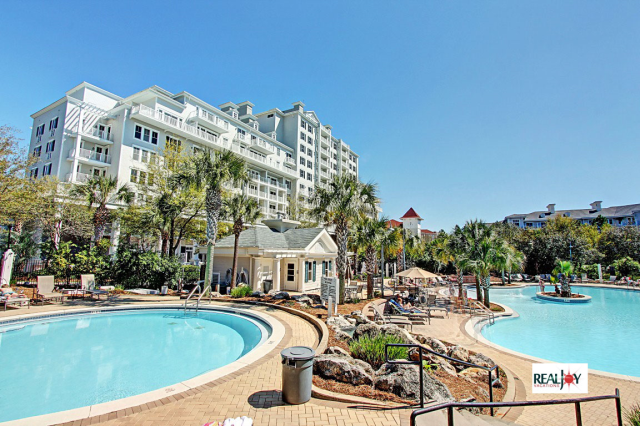 Enjoy lasting memories by making The Grand Petite your next beach vacation tradition! Guests staying in Rosemary Beach will enjoy access to all four heated pools, located strategically in each of the four quadrants of town, more details below. 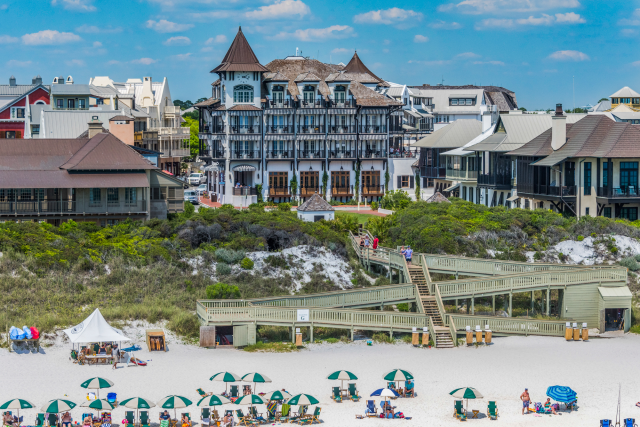 Access to the Rosemary Beach Racquet Club & Fitness Center is available for an additional onsite fee. Beach chair service is available for rent year-round on a first come/first serve basis. Other perks include 2.3 miles of boardwalk and trails that wind through the town with 19 pocket parks and green spaces. Several include playgrounds, on the northwest corner at West Kingston, you will find the butterfly garden and koi pond. Coquina Pool: Near the beach, it's an infinity edge pool presided over by triangular stucco building which includes men's and women's changing rooms. Open daily from 9am to 9pm. Sky Pool: Indoor pool with a retractable roof. The pool deck features radiant heating for the winter months and three swim lanes. Open daily from 6am to 10pm. Adult only hours are 6am-9am & 8pm-10pm. Barbados Pool: Outdoor Pool immediately recognizable by its copper roof and fountain, located on the south west section of Rosemary Beach and features a small children's pool. Open Daily from 9am to 9pm. Cabana Pool: Outdoor pool with Mediterranean design, cabana style dressing rooms and a separate children's pool. A playground for kids adjoins it. Open Daily from 9am to 9pm. 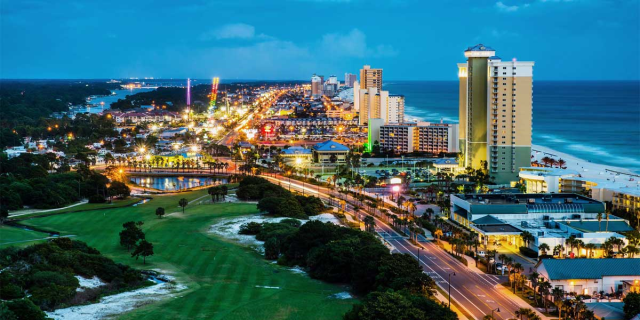 You will be enchanted the moment you catch your first glimpse of this seaside town. 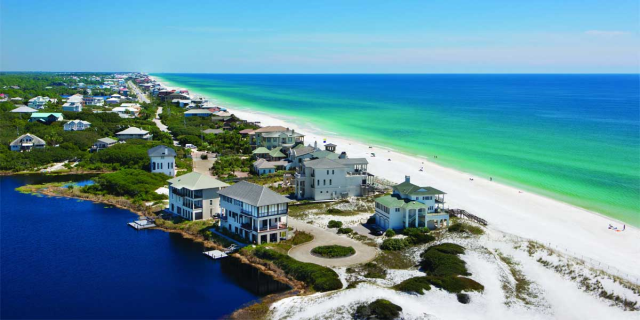 Named by CNN as one of America's most romantic small towns, Rosemary Beach does not disappoint. Situated on the east end of 30A, the Old World style town center boasts influences from the West Indies, New Orleans and Charleston. You will find cobblestone streets filled with boutique shops, fine and casual dining, a farmer's market and sweet shops to enjoy a hand-made soda or milkshake. Another unique feature is the 2.3 miles of interconnected pathways and boardwalks, illuminated at night by gas lanterns. You will love the picturesque green lawn, sugar white beaches and lovely Emerald waters that make this area so famous. 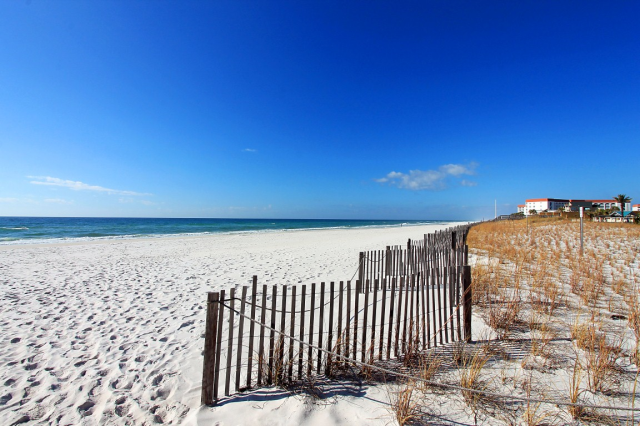 And you will love Rosemary Beach. OPEN May 5 to 8 $845! 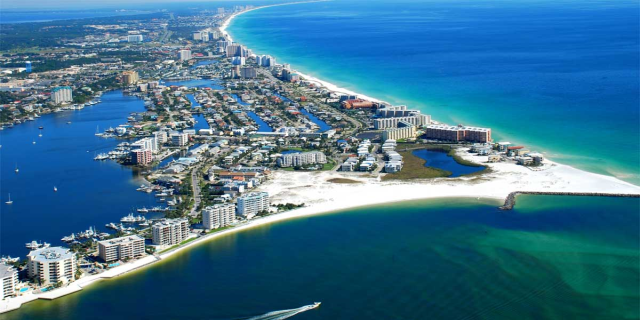 Waterfront Panama City Beach, a well-known vacation destination for vacation rentals, is known for miles of white sand beaches and lots of beach fun. Popular theme parks in Panama City include the Gulf World Marine Park that… Read More.